We are authorized dealer for Ion exchange, Backed with immense industry-experience and mutual relationship with reliable vendors of the market, we are involved in offering a comprehensive assortment of Water Softeners. 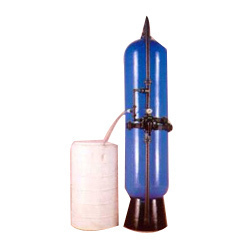 Procured softeners are immensely used to produce contaminant-free water and are designed with latest technology. In order to meet maximum clients' satisfaction, these are quality checked on various parameters set by the industry. Clients can avail this range from us at market-leading prices. We are authorized dealer for Ion exchange, We have gained name in offering extra fine quality Activated Carbons in powdered form, which is in wide demand in markets. With the help of our grand professionals, we have been able to bring forth a range of Activated Carbons. We also offer chemically excited copy and ash grey impregnated Activated Carbons if specified by our clients. We are authorized dealer for Ion exchange, We are involved in rendering a wide gamut of Ion Exchange Resins. The offered range is processed by certified vendors of the market using organic polymer substances and latest technology with the set universal standards. Offered entire range is tested against various parameters under the strict supervision of quality controllers at vendors' end to ensure flawless deliveries. 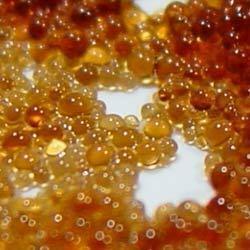 In addition to this,we can supply the ion exchange resin as per the customer's requirement with respect to application.